Poison oak commonly named as western poison oak is one of the flowering plants in the sumac family such as poison ivy and poison sumac.Toxicodendron diversilobum, contains shrubs, vines and woody trees mostly found in America. All members of these genus plants can cause a mild to a severe allergic reaction from the leaves or stems of the plant. Poison oak is deciduous, the plant is leafless during winter and without leaves, it’s pretty difficult to identify it. The twigs can still sting you. The leaves of poison oak may sometimes be identified by black marks where its milky sap may have oozed and dried. The sap produces urushiol ( an oily compound which commonly found in plants of Toxicodendron family) which causes allergic contact dermatitis once the oil gets to the skin. Leaf shape resembles an oak leaf. Produces white small flowers. During summer, leaves can be green and produce berries. What causes poison oak rash? A poison oak rash is an allergic reaction caused by an oily resin called urushiol. It is found in the leaves and stems of the western oak or poison oak plant. Poison oak releases the oil when the leaf or other parts of the plant are damaged, bruised, or burned. The oil adheres to skin and clothing and can spread by touch. When exposed to 50 micrograms of urushiol, an amount that is less than one grain of table salt, 80-90% of adults will develop a mild to severe rash. It is very itchy and sometimes painful. Most of the time, the symptoms of allergic reaction to poison oak appears within 1 to 6 days or 24 to 48 hours after the exposure. Common evidence of an allergic reaction is a skin rash. At first, you may notice some itching, sting and some skin irritation. Next, rashes will break out that gets itchier as it progresses. Eventually, rashes will be worse in some areas where you had direct contact with the plant. And rashes will start to form into oozing blisters. Poison oak rash commonly appeared around your wrists and ankles where our skin is thinner. In some cases, allergies can last a month or more. Wash the skin thoroughly with soap and warm water because the oil penetrates the skin very quickly. Try to wash off within 30minutes. You can also use a skin cleanser like Tecnu Original to remove poison oak irritant from the skin. Apply it directly to dry skin, rub for two minutes, and rinse with cool water or wipe off with a cloth. 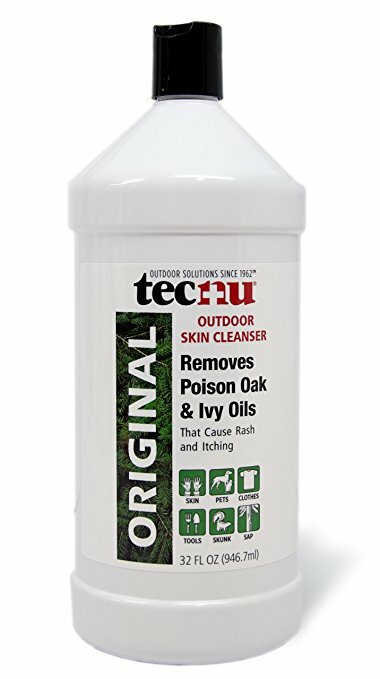 When used within 8 hours after poison oak exposure, Tecnu Original can remove urushiol oil before the rash begins. But if you’re showing the symptoms, it helps in keeping the rash from spreading. Use a rubbing alcohol or strong soap to cleanse the affected area within the first 5 to 10 minutes after exposure. Wash clothes that have been exposed to poison oak. Take lukewarm baths or cool showers to ease itching. The rashes can be itchy, prevent scratching or touching them to prevent infection. Apply a cool compress to the itchy patches. To relieve pain and itching try having home remedies such as oatmeal baths, baking soda pastes, aloe vera extract and over-the-counter remedies like calamine lotion. 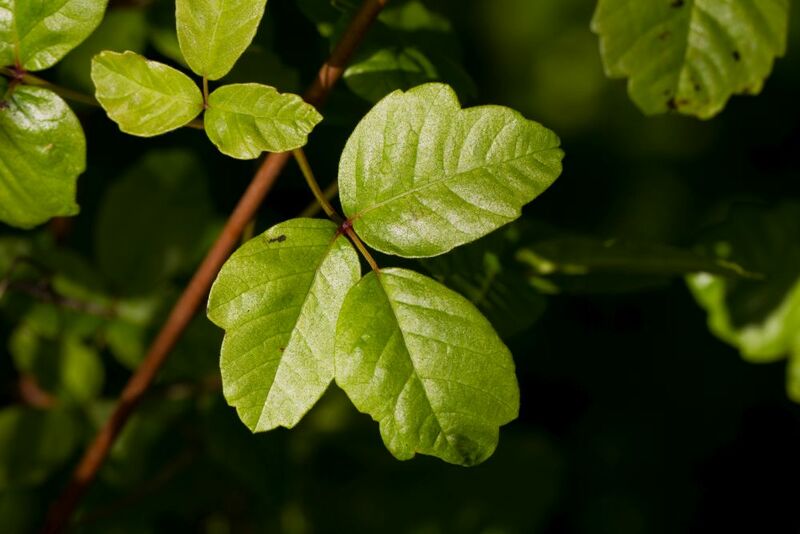 Use Oral Ivy for treating poison oak symptoms. Put 10 drops of oral ivy in 2 ounces of water every 2 hours as needed. As symptoms improve, reduce it to once every 4 hours, then twice daily until symptoms disappear. Place drops under tongue in 2 ounces of water at least 15 minutes before or half hour after eating, brushing teeth or drinking anything except water. 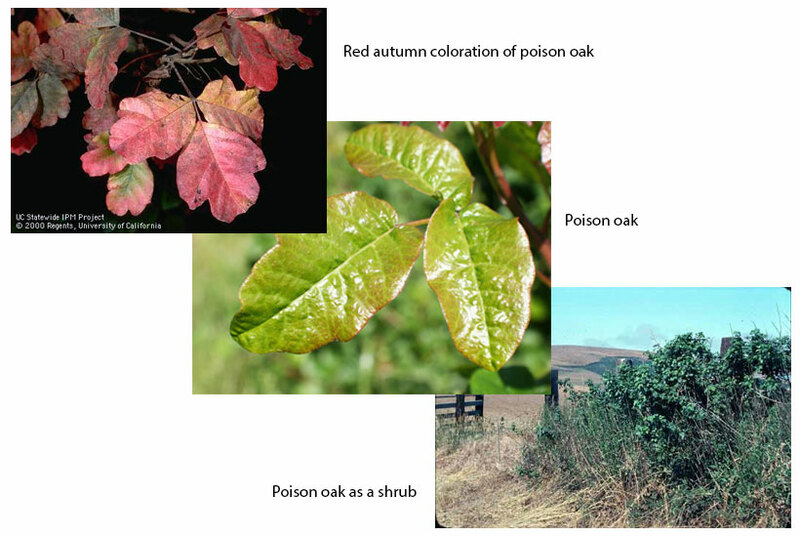 Keep an eye out of the plant and learn to recognize the poison oak in the wild to avoid walking through it. Wear protective clothing such as long sleeves, long pants tucked into the boots, and socks when walking in areas where poison oak may grow. If you think you may be working around poison oak always wear impermeable gloves. Wash garden tools and gloves regularly. Although most pets are immune to poison oak, ivy and sumac, the oil resin can still stick to their fur and it will cause an allergic reaction to anyone petting them. Make sure to wash your pet if you think they may have brushed up against poison oak or other poisonous plants like poison ivy and sumac. Use pet shampoo and water while wearing rubber gloves. Tecnu Original is also an effective and safe cleanser to remove urushiol from your pet’s fur. 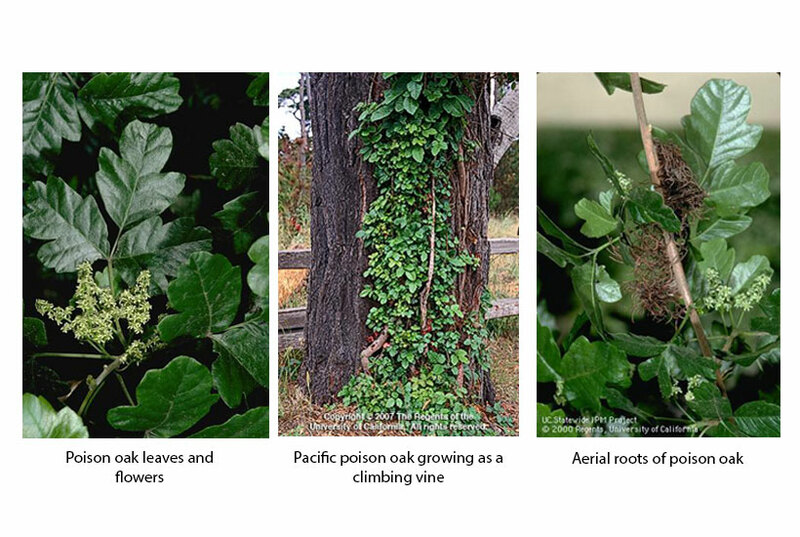 Remove poison oak plants growing near your home. But never burn them! Keep in mind that burning poison oak is dangerous because the resins can be spread via the smoke. And inhaling it can cause a severe allergic reaction and respiratory problems. Be prepared to wash immediately if you suspected any contact with these plants. You may use certain cleansers to prevent poison ivy rash from spreading by removing urushiol from your skin, clothing, and gears. There are special products like Tecnu and Zanfel for removing urushiol. 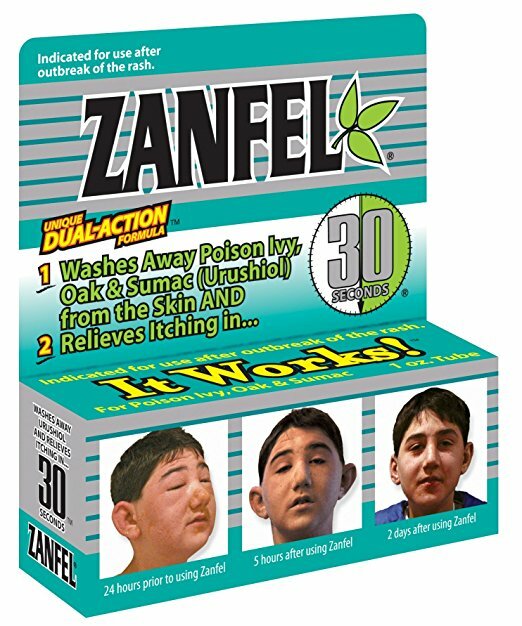 Zanfel relieves itching and pain in minutes. It’s safe for children and nursing or pregnant women. Zanfel is known to remove urushiol, the oil compound responsible for the reaction, from your skin, instead of just treating the symptoms. Apply pre-contact poison barrier products to reduce the risk of rash. Most pets are not sensitive to poison oak, poison ivy, or poison sumac, but the oil can stick to their fur and cause a reaction in someone who pets them. If you came in contact with the plant, the sooner you take care of it, the better. If you notice something’s off or more serious from the symptoms that commonly have then there is a high potential that you are in severe condition. These signs of severe reactions include difficulty in breathing, rash covers around 25% to 50% of your body, signs of infection such as fluid leaking from blisters. Also, we can consider these symptoms as well such as fever, headaches, facial swelling since you’re exposed to the plant. These symptoms can be life-threatening and require immediate medical help.